Sir Adolphus Freeland was an Antiguan politician and former Antigua Labour Party (was) minister. Sir Adolphus is recognised as the longest-serving ALP minister and representative for St George. He served as a Cabinet Minister from 1976 to 1999 when he retired from active politics. Sir Adolphus was a member of the Leeward Islands and Combined Leeward and Windward Isalnds cricket teams from 1959 to 1967. He is credited with being the first Leeward Islands cricketer to take 5 wickets in a first class innings. He also served for many years as a Director of the then Antigua Cricket Association. Sir Freeland’s political career began in 1968 after the riots in March that year as a result of the historical split between Sir George H Walter and Sir VC Bird, when he committed to the Antigua Trades & Labour Union (AT&LU). He became general secretary of the union in 1968 and held the position until 1976, making him the longest serving general secretary in the history of the AT&LU. Sir Adolphus was married to wife, Lady Freeland, and was the father of six children, 14 grandchildren, and seven great grandchildren. 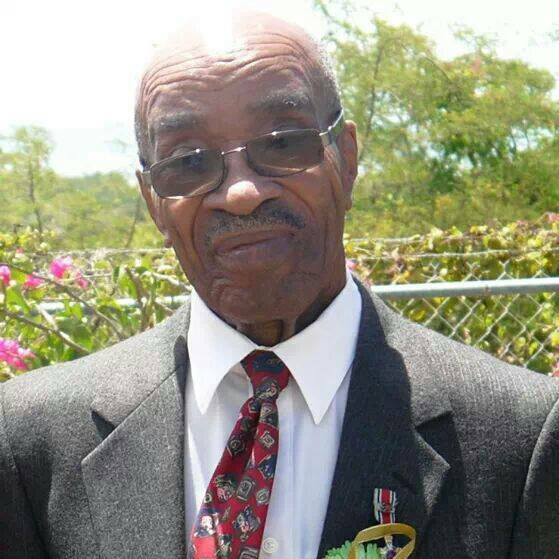 Sir Adolphus died at Mount St John’s Medical Centre (MSJMC) at 5:10 am on Saturday, 18 January 2014 after a brief period of illness. He was 79 years old. Sir Adolphus was accorded an Official Funeral. His body was interred at the Floretta Gardens Cemetery on 30 January 2014.